It's not just guitarists who can have fun in the world of metal, as SampleRadar is about to show you. Click the download link below and you'll find a selection of no-holds-barred, amped-up beats, synths and basslines, all ready to let rip. 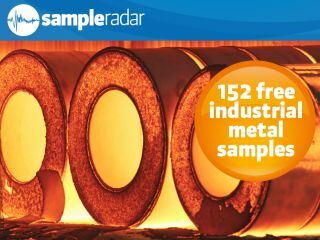 The industrial metal samples are split into 100, 140 and 160bpm construction kits. The industrial metal samples are supplied in a zip file, so you'll need to extract them before you can see them. Enjoy!